“Physics, the blessing as well as the curse”, We the engineers are quite familiar with this quote as we receives both the blessings as well as the curse from the nature when we develop a technology or a machine, specifically when we talk about an automobile vehicle the nature’s physics is the biggest challenge we face, we always talk about engine and transmission system which are the important system of a vehicle is equipped with but have you ever think , how the vehicle feels stable even at the high speed? , Why don’t we feel bumps while sitting in the vehicle? Why don’t the vehicle loses contact with the road even at the high speed or sharp turns ? Let’s just find out. A suspension system is one of the most important system of an automobile that deals with the dynamics of the vehicle. It is the intermediate flexible system that connects the wheels with the main frame of the vehicle, suspension system is a combination of various components like knuckle or upright (that have important angles like king-pin, caster), Arms or linkages and shock absorber that comes together and enables the relative motion between the tyre and the mainframe. A suspension system provides stability to the vehicle in dynamic conditions like high speed, sharp turns and braking. 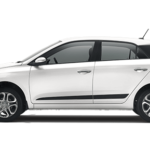 The shock absorbers used in suspension system prevents the main frame from the shocks provided by the rough road conditions by absorbing the shocks which in turn makes the ride smooth for the passengers and the luggage. Why a Suspension System is Needed? There is a need of a flexible connection between the main frame and the wheels of the vehicle in dynamic condition that enables the relative motion between them without causing deformation to the main structure or any other components of the vehicle. A suspension system in a vehicle is needed to support the overall weight of the main frame that includes the weight of the all mounted components along with the passenger’s weight. When a vehicle takes sharp turn there is the tendency of the frame to roll along its lateral axis which should be prevented in order to prevent the vehicle from rolling so a suspension system is needed in a vehicle that can prevent the vehicle from excess rolling. When the vehicle accelerates from its initial state and when the brakes are applied in both these conditions there is a tendency of the frame to roll along its longitudinal axis due to which the wheels of the vehicle tries to lose contact with the road surface, so a suspension system is needed in a vehicle that can prevent the vehicle from excess rolling along its longitudinal axis. 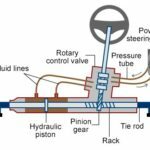 A suspension system works with the steering system in a vehicle to keep the vehicle in a correct alignment that provides stability to the running vehicle. The king pin and caster angles provided in a knuckle or upright of the suspension system allows smooth side to side turning of front wheels for steering the vehicle. The shock absorbers used in suspension system absorbs the shocks provided by the rough road conditions and makes the ride smooth for both passengers and luggage inside the cockpit. 1. 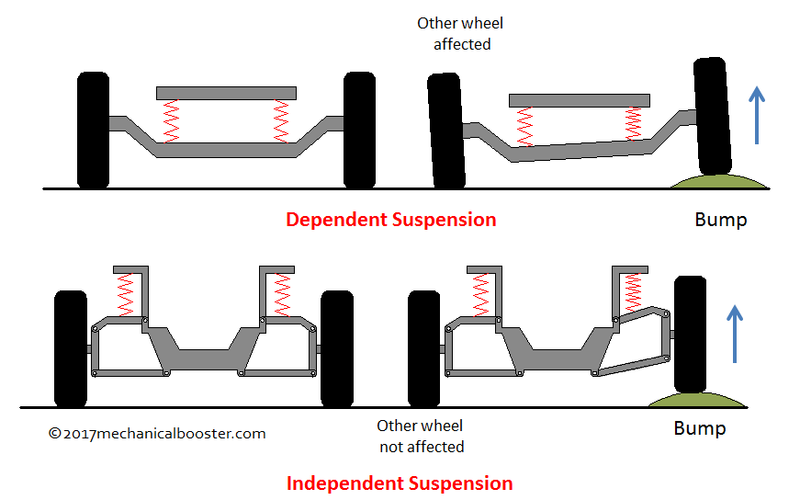 Non-independent or dependent suspensions – A suspension system in which both the right and the left wheels of the front and the rear pair of wheels are connected with a solid axle in such a way that the upward motion due to the bump in any one wheel of the front and the rear wheels pair causes slight lift in the other. This type of suspensions are used in many old trucks in which the front and rear pairs of wheels are connected with a solid axle. 2. Independent suspension- A suspension system in which all the four wheels of the vehicle are free i.e. there is no relative motion between the front and the rear pairs of the wheels which means all the four wheels are connected independently with the frame and when a bump comes either in right or left side of the vehicle the wheel (either right side wheel or left side wheel)in contact with the bump moves upward without causing any lift in the other side wheel. Double wishbone , mac-pherson, etc. Types of suspensions are the example of independent suspension. Formula cars that uses double wishbone type of suspension and the normal passenger cars like Maruti swift uses independent suspensions. The main advantage of using this type of suspension is that the surface contact between the road and either of the wheels is maintained throughout, which is the basic stability need of the vehicle. 1. Knuckle or Upright- It is the component of the suspension system that is mounted over the wheel’s hub through which the wheels and the suspension of the vehicle connect with each other by the linkages provided. A knuckle is provided with the king-pin and the caster angles that helps the front wheels of the vehicle to steer in right or left direction which in turn steers the vehicle. A knuckle provides housing for central bearing over which the wheel’s hub rotates along with the rotation of the wheels. 2. Linkages- linkages are the rigid connections that are used in suspension system to connect the main frame of the vehicle with the knuckle of the wheels through mechanical fasteners. (i) Wishbones or A-arm – It is the type of the mechanical linkage which is in shape of the alphabet A, the pointy end of the A-arm is fastened to the knuckle and the other 2 ends of the A-arm are fastened to the main frame of the vehicle. 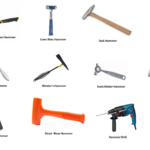 On the basis of the application of the vehicle either a single A-arm or double A-arm are used. 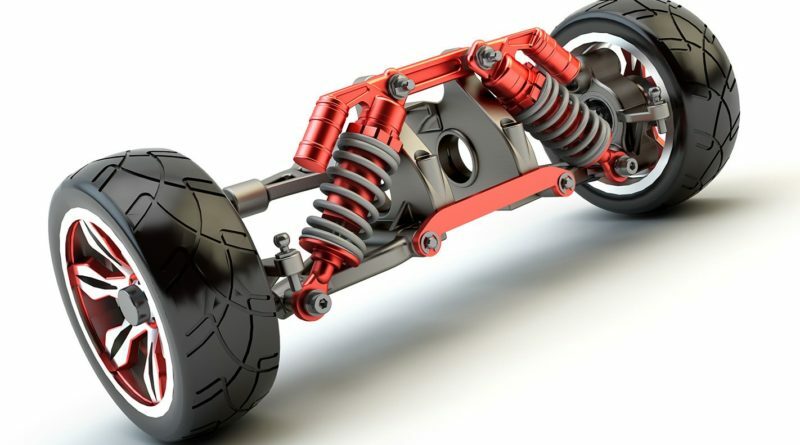 (ii) Solid axle or live axle- It is the type of linkage which is used to connect the main frame of the vehicle with the knuckle on the wheel, this is the solid axle casing that supports the overall weight of the vehicle, this type of linkage can be seen in trucks. 3. Shock absorbers or springs- They are the flexible mechanical components that are used to absorb shock provided by the road condition and is placed between the linkages ( wishbone. Solid axle, multi-links) and the main frame such that the road shock is minimised before transmitting to the main frame of a vehicle. 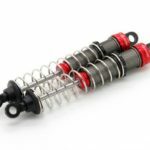 (i) Spring and damper type shock absorber- It is the type of shock absorber in which a pneumatic or hydraulic piston known as damper is used that provides damping by absorbing the road shocks. This damper is surrounded by a compression coil spring which is a elastic mechanical constraint that compresses when force is applied by the bump and recoil back or regains its original shape and size when the force is removed. It is used to maintain the surface contact of the tyres with the road by providing stiffness (resistance to compress), also maintain the damper at its original length after absorbing the shock. (ii) Leaf spring- It is the type of spring in which a number of ductile metal plates called leaf are arranged in a special pattern i.e. one over one in ascending order of their length, leaves of the leaf spring shock absorber are pre-stressed such that when the shock is transferred by the wheels these pre stressed leaves being ductile tries to regain their original shape i.e. straighten,. 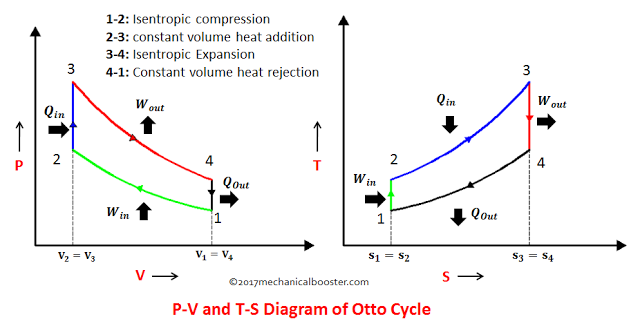 Due to which shock is absorbed by the leaves . This type of shock absorber can be easily seen in trucks on the road in which leaf spring shock absorber is used in between the solid or live axle and the main frame of the vehicle. 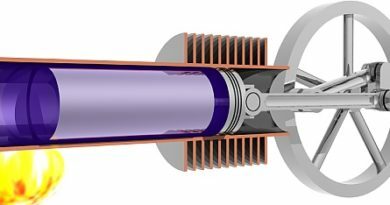 (iii) Air spring- It is the latest type of shock absorbers which can be easily seen in Volvo buses, in air spring shock absorbers the damping of shock is a function of air compression, which means air is used as a shock absorber. 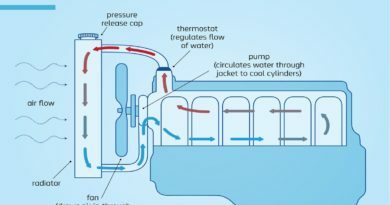 The air needed for different load conditions is controlled and monitored by the Electric control unit of the vehicle. 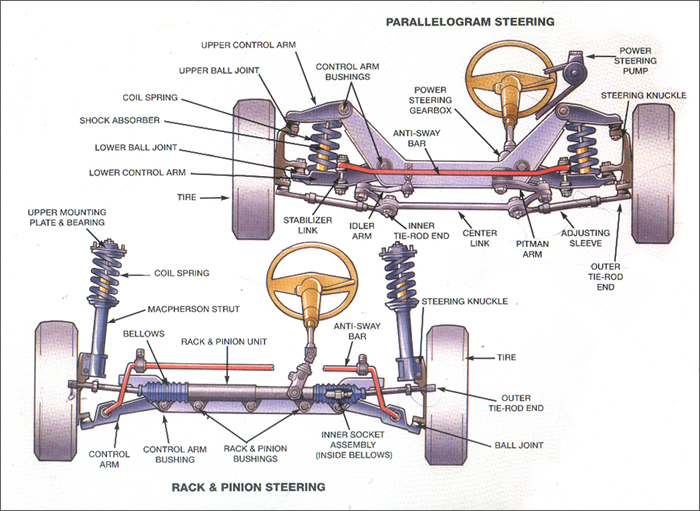 To understand the working of the independent suspension let’s take the example of the formula cars suspension in which double wishbone with coil spring suspensions are used. In formula cars independent double wishbone suspensions are used in which all the 4 tyres of the formula car are independent to move i.e. there is no relative motion between them. Let assume that the bump is in left side of the vehicle and at the instant the front left tyre comes in contact with it. When the left tyre of the formula car hits the road bump which in turn causes front left tyre to lift upward and as there is no connection between the right and the left or front and the rear tyres this upward movement is only restricted to the front left wheel. The shock produced due to this road bump is absorbed by the compression type spring and dampers used in between the wheel’s knuckle and the main frame, this shock is absorbed directly or through push roads that transfer the shock from knuckle to the damper. The stiffness of the spring and dampers used in independent double wishbone suspension is responsible for maintaining the traction of the formula car’s wheel with the road. To understand the working of dependent type of suspension system let us take the example of a suspension system used in a truck in India i.e. solid axle or live axle having leaf springs. 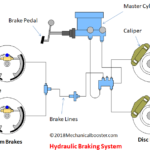 In trucks dependent type of suspension is use in which both the wheels of the rear and front pairs of wheels are connected with a solid axle such that the upward movement of one wheel causes slight lift in the other. Both the front and rear pair of wheels are connected with the solid live axle over which the frame of the truck lies, between the solid axle and frame leaf spring arrangement is used that provides the damping of the shock. Let’s assume the bump is at the left tyre of the truck, this road bump faced by the left tyre of the truck tries to lift the left wheel of the truck. When this wheel lifts up due to the road bump the solid axle attached with it also lifts up and the force generated by the wheel due to its upward movement is transferred to corresponding right wheel (as they are both rigidly connected with the live axle) which in turn tries to lift it up slightly. The shock produced by the road bump is absorbed by the leaf springs used in between the axle and the main frame. When the truck faces a road shock, The leaf springs which are pre-stressed in a special fashion tries to regain its original shape i.e. straighten, which in turn absorbs the road shock.